In 2005 Gerry Anderson completed what was to be one of the most ambitious projects of his entire career: a computer animated reinvention of his cult Supermarionation classic Captain Scarlet and the Mysterons. Fast-paced and action-packed, Gerry Anderson's New Captain Scarlet was one of the sci-fi creator's proudest achievements – with each of the 26 episodes featuring gripping stories, engaging performances and, of course, a memorably thrilling soundtrack! Now – for the first time – composer Crispin Merrell's music is available to enjoy on this highly collectable two-disc set. 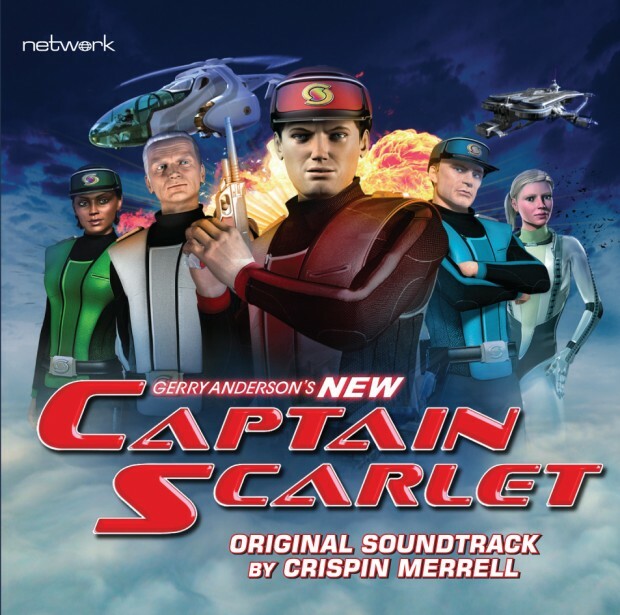 Alongside episodic suites of music and a 40-page set of track notes, this release also includes a 2018 New Captain Scarlet suite (composed especially for this release) and an in-depth interview with Crispin and Gerry Anderson's younger son Jamie about the genesis of the music for this astonishing 21st century reimagining of an iconic series.